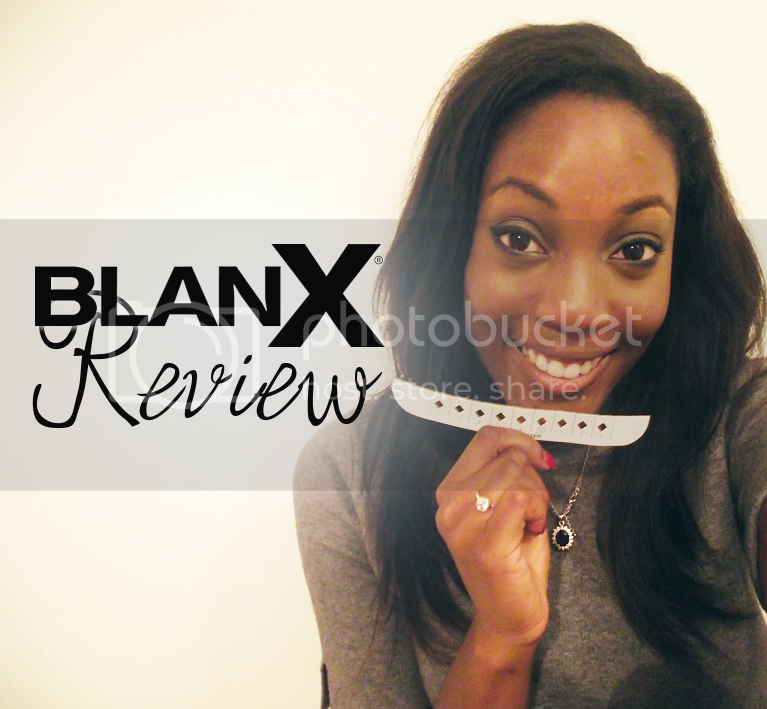 BlanX Original Teeth Whitening Range Review and Giveaway! There is a big Zara box on my floor right now that I’ve been telling myself I’m going to throw away for three weeks; this is very much a pattern in my life. I’ve been telling myself I’m going to whiten my teeth for maybe two years now, fair enough I had the excuse of braces for a while, but my braces came off over a year ago, and no attempt was ever made to whiten my teeth. Howeverrr, recently, I was contacted by the team at BlanX and asked whether I’d like to review some of their products (and give some away to a reader! ), and I obviously said yes. First, a little bit more about the product and the brand. BlanX – they call themselves “the healthy way to keep teeth white”, they offer a cosmetic toothpaste range that uses no harsh chemicals or abrasives, their products are said to simply “restore teeth back to their natural whiteness”. I was sent their Original Teeth Whitening range, this included whitening toothpastes (Advanced Whitening* – £7.49, Classic Whitening* – £5.49 and Intensive Stain Removal* – £7.49) and a whitening treatment (Extrawhite Intensive* – £10.49). I’ve been using these products (mainly the advanced whitening toothpaste), twice a day for just over two weeks now; whilst the toothpastes are designed to daily use, the treatment is meant to be used more sparingly. I guess this brings me to the very point of this blog – does it work? I’ll start off by saying that I’ve actually always been blessed with pretty white teeth. The only thing I’ve wanted to perfect with my teeth have been my canines, typically your canines may be less white than the rest of your teeth, due to some dentistry jargon such as these teeth having thinner enamel, hence, these were my main target. 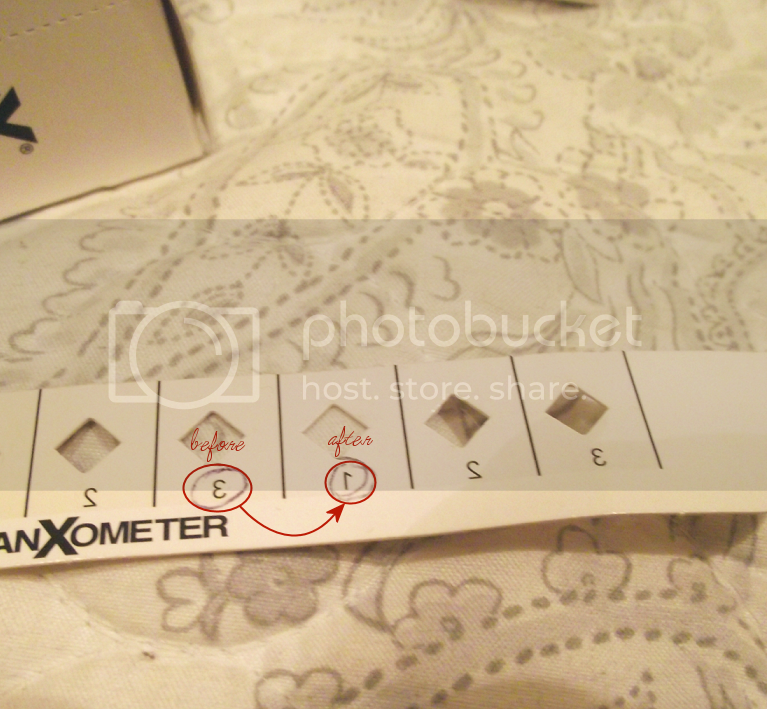 The BlanX products come with what is called a ‘Blan-X-Ometer’ which basically allows you to monitor the progress of your teeth. I can happily say that over the past two and a bit weeks my level on the meter did actually jump up one level. The colours are all very similar to each other on the meter which makes it hard to tell with certainty, but I do feel as though I witnessed some changes, specifically in my canines. The only negative I have is that I didn’t always feel as though my teeth were minty-fresh-clean whenever I’d brushed them, but that’s nothing that coukdn’t be fixed with some mouthwash. 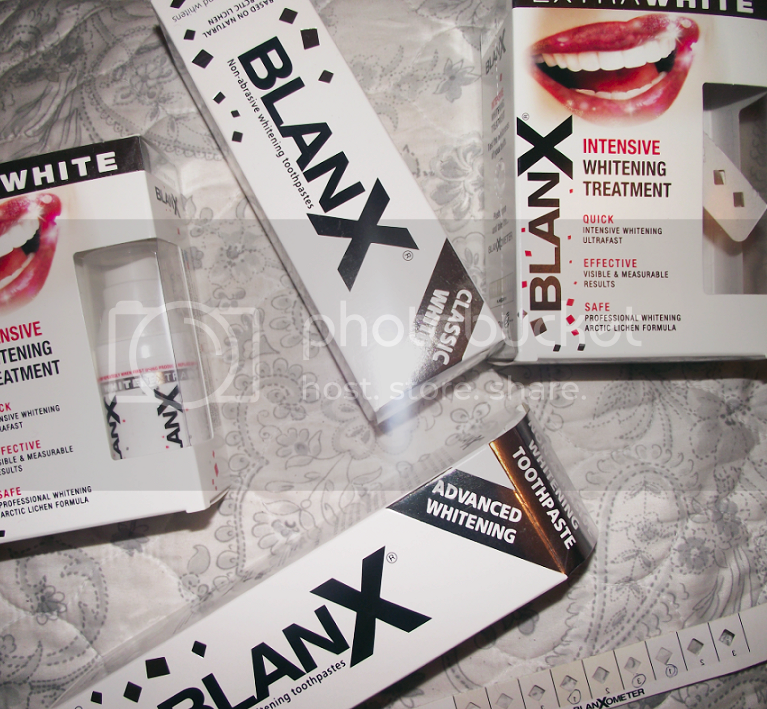 2 Responses to "BlanX Original Teeth Whitening Range Review and Giveaway!"